You tried your friend's home-brewed beer and thought, "I should really start home brewing!" Before dashing off to your local homebrew supply shop, consider these four questions! Why am I interested in homebrewing? Homebrewing is a hobby! It shouldn’t matter whether brewing beer at home saves money over buying craft beer. Spending your dollars and time participating in an activity you enjoy is just that: a choice. Homebrewing is a craft! It’s part of a cultural connection predating modern civilization. The pursuit of a perfectly crafted beer, cider, mead, or wine elevates the craft of brewing to an art form. Homebrewing is science! Think about someone you know who homebrews. Is he/she an engineer? A biochemist? A DIYer unafraid of big projects? A person who buys six books on a given subject instead of starting with just one beginner book? Homebrewers are some of the most fun people in the world, but they’re also some of the nerdiest! How much time can I dedicate to homebrewing? Beginners ask me, “How long does it take before I can drink a beer I brew?” The more appropriate question is, “How much time you have to dedicate to a new hobby?” Brewing beer from ingredient kits takes a few hours on one day, and fermentation takes at least a few weeks. After fermentation, the beer is bottled, a process that takes a few hours. The bottles sit for two more weeks to condition (carbonate). If you have a few hours every two weeks to spend brewing or bottling, you probably have enough time take on this hobby…unless you catch the bug! For a lot of home brewers, the hobby becomes an obsession around which a lot of other parts of life are planned. Homebrewing is both an activity and a lifestyle. Your social circle may expand to include a local homebrew club. Before long, you may find yourself brewing with friends almost every weekend, going to beer tastings, traveling to beer metropolises and staying up late developing new recipes. 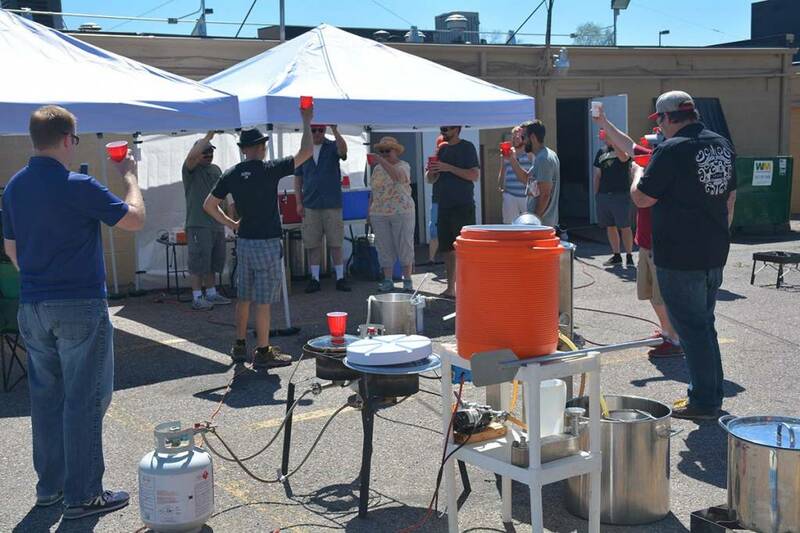 Like all other hobbies, homebrewing can be as much a part of your life as you want to make it. How much space do I have for homebrewing? Homebrewing can take over whole rooms, garages, basements, or simply be relegated to a free storage shelf. You’ll need a pot for boiling the wort, a primary fermentor (i.e. a brew bucket or carboy), and some tools for stirring, siphoning, and bottling. You’ll need a home for storing glass bottles as well. It’s common for brewers to start brewing 5-gallon batches (approximately 53 x 12-oz bottles). This means you’ll have to deal with a fair amount of stuff! The starter kits we sell come in a handy box that can double as a storage container. If you don’t have a lot of space to dedicate to homebrewing, you’ll want to consider brewing 1-gallon batches (approximately 10 x 12-oz bottles). You’ll end up with a smaller amount of beer to share and enjoy, but you’ll be able to brew often and hone your craft. What kind of budget do I have for homebrewing? The cost for basic equipment ranges from $65-$185 (or more), but that may not include a pot or kettle. It also does not include bottles or a recipe kit. While cheap starter kits (rhyming with Mister Schmear) are available at big box stores, a high-quality equipment kit is going to cost more. Beer recipe ingredient kits range from $15-$25 (1-gallon kits) to $40-$70 (5-gallon kits). Bottles can be reused from purchased craft beer provided they are not twist-tops and you don’t mind washing bottles and removing labels. Broadway Brew Supply sells cases of unused bottles if you don’t have the time or inclination to wash and reuse bottles. I usually tell customers it’s not uncommon for the initial purchase to be around $175-$250, but then most equipment is reused for subsequent batches and the recurring costs are limited to ingredients and cleaning supplies.